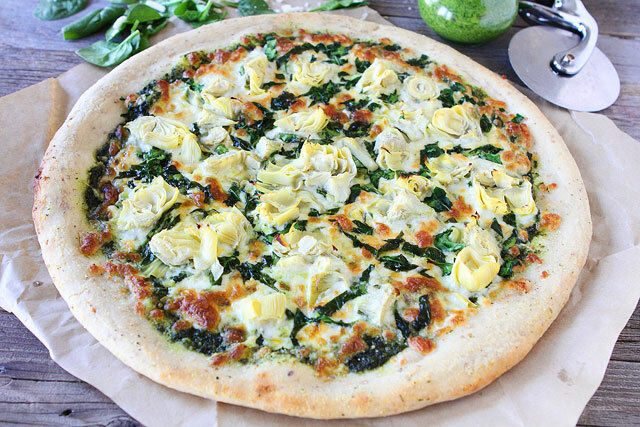 Further ahead, I’ll walk you through 6 Unusual Pizza Toppings that you may choose while preparing pizzas at home. You have the freedom to always combine different kinds of toppings and achieve something unique and tasty; most of all, something your own. Ready for the spin, are you? Now let’s dig into each one of them individually and figure out how they’ve been used to make some exceptional pizzas! Well, nothing much like the old fashioned, ‘green as hell’ Broccoli. This powerhouse of nutrients and quite the charming godly green veggie has a lot of potential. Apart from vegetables, it can very well be used as pizza toppings. Not only will your pizza be healthy, but at the same time it’ll be tasty and you’ll be amazed. It’s all about of how you prepare the Broccoli. There are many ways to do the same. At the same time, many new styles are being invented every day. Case in point, you might as well try your hands on something different, or rather create your own version of Broccoli topped veg pizza! Cut it into small pieces, add flavors, herbs, dress it up (sauté them with some olive oil if you feel like) and then sprinkle it over the pizza base. Top it up with a combo of Parmesan and Skimmed Mozzarella cheese. Heat it as you always do, and there you go, all set with your very own homemade ‘Broccoli’ pizza! Yes, I’ve got back to back high on nutrients topping options for you in the list. If Popeye could make the best of it, why not us! Spinach is much underrated when it comes to going solo. However, it is a great option to be used as a Pizza Topping. You may take small leaves, or perhaps chop them into smaller leaflets and sprinkle them across, evenly. Add lot of dry herbs and season well with flakes and oregano powder. 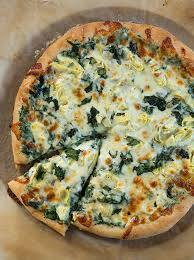 Use skimmed cheese for best results because skimmed cheese is good when it comes to retaining the flavor and aroma of Spinach along while balancing it out with the aroma of melting cheese. 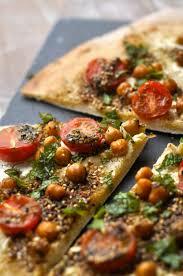 Chickpeas as pizza toppings is kind of unorthodox, but worth a shot. Anyways, if you feel hesitant about going forward with this option, you need to check out Pizza Hut’s special Rawalpindi Chana Veg Pizza. The savvy combination of caramelized onions, sliced capsicum and tomatoes with well-prepared tangy Chickpeas will definitely take you aback. Pizza Hut allows you to customize your pizzas. Hence, you can always play around with the crust, add extra toppings, and add more cheese and what not! So make the best of Pizza Hut special pizza offers while you can. Order one today so that you get a better idea about the toppings and learn lot many things. Do you like pineapples? Ever thought of pineapple as pizza toppings? Sounds fascinating, right? Well, Pineapples can actually do great as toppings. It’s always fun to recreate something, but in your own style. 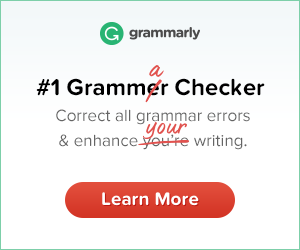 You better want to do it that way. Last in my list is another pick from Jessica's Kitchen. I really liked this pizza style because of the fine involvement of two unique elements - Beet and Pesto Sauce. Beet is a great filler. However you’ll need to prepare it well. Likewise you’ll have to prepare the Pesto sauce too. You may take a look at the recipe of both by clicking on the links above. I tried to make this pizza at home and it turned out really good. Unfortunately I do not have pictures to show you, but I’ll definitely document it next time. I would suggest you to take a shot at this pizza style. 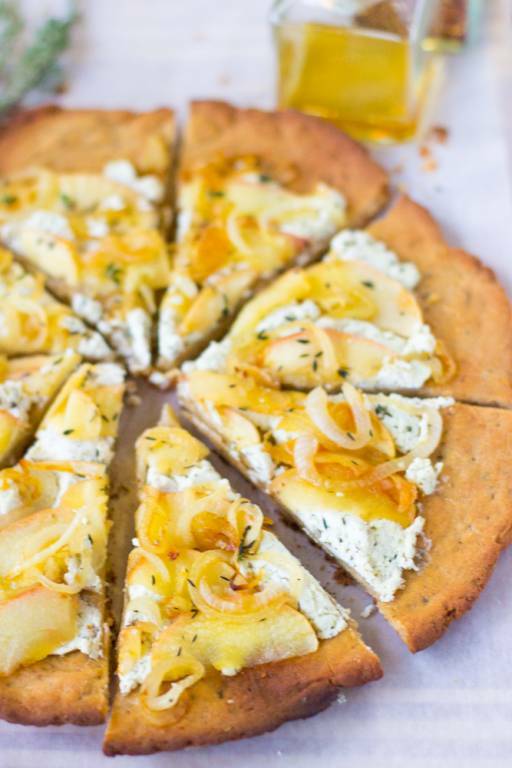 All in all, Caramelized Onion and Apple, together, bring out a really nice and sweet flavor. And the Goat cheese acts as a catalyst stimulating the flavor and taking it to greater heights. Take some time to think about these 6 unusual styles and give it your best. Break the monotony of making the same old pizzas by choosing to do something special. All the best! Hope you enjoyed this compilation. I would like to get your feedback and your opinion about the same. So in case you prepare something form this, do share pics and comment. 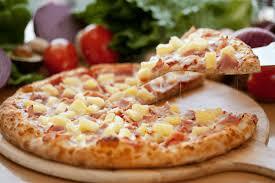 Stay tuned for more interesting write ups on pizzas and pizza styles.